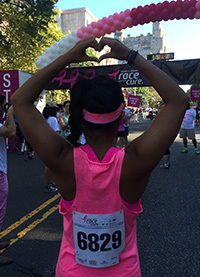 Get involved with Komen Greater NYC in any way you can! Attend an event, volunteer your time, or organize fundraising efforts in the workplace. Komen Greater NYC could not do what it does today without the help and support of our partners and sponsoring organizations. We would like to recognize and thank the following partners for 2016. THANK YOU! to our amazing sponsors, who are helping save lives and eradicate breast cancer every day! Our sponsors provide access to breast health care programs for medically underserved women right here in our local communities as well as investing in life-saving breast cancer research to find the cures. Komen Greater NYC is proud to recognize and thank the following companies, organizations and individuals who have been instrumental to our success in the past year.